Karachi, Jan. 3 (China Economic Net) -- By 24:00 hours December 31, 2018 (Pakistan local time), the cumulative energy output of Port Qasim coal-fired power plant is up to 7.559 billion kWh with its aggregate grid output of 7.1 billion kWh. According to journalist of China Economic Net, the power generation capacity of Port Qasim power plant is equivalent to 10% of the current national power generation capacity in Pakistan, which has played an important role in promoting the structural adjustment and economic development of Pakistan's power industry. In April 2015, as the first implemented large-scale energy project of China-Pakistan Economic Corridor (“CPEC”), the Implementation Agreement and Power Purchase Agreement of Port Qasim Power Project were signed under the witness of two countries’ leaders during President Xi’s visit to Pakistan. POWERCHINA has completed construction of this project within only 32 months and both units were synchronized ahead of the required schedule. On April 25, 2018, Port Qasim coal-fired power plant entered into commercial operation smoothly. In the future, the average annual energy output is around nine(9) billion kWh, which is expected to support 4 million local families’ and more than 20 million peoples’ daily power consumption and effectively improve the local power shortage situation and provide continuous power for Pakistan's economic development. As one of the high-quality and demonstration projects under the CPEC, Port Qasim Power Project is of great significance to Pakistan. 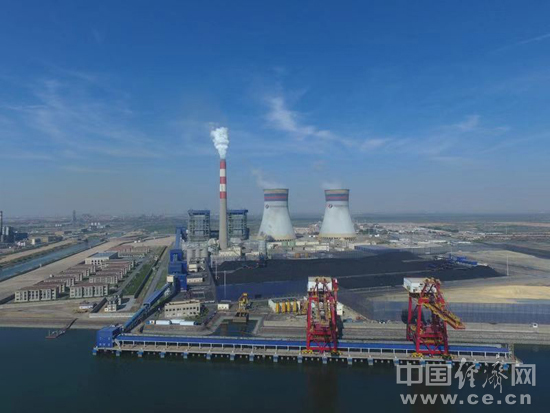 Firstly, by adopting Chinese capital, Chinese advanced standards, technology and equipment, Port Qasim power plant has integrated its superior chain resources of investment, design, supervision, engineering and operation, which greatly reduce the investment cost and operation cost of coal-fired power plant. The tariff of Port Qasim power plant is below the average tariff level in Pakistan. It will alleviate the power shortage in Pakistan and optimize its power structure by “replacing oil with coal”. It will also have a profound impact on promoting infrastructure construction and economic development, and improving people’s livelihood. Secondly, during construction, POWERCHINA attaches great importance to sharing advanced engineering technologies with Pakistan, promoting the improvement of Pakistan’s industrial level. POWERCHINA has been actively exploring qualified and potential local subcontractors, and establishing good engineering subcontracting links with them. POWERCHINA shares advanced engineering technology and management concepts, and enhances the training and education for local senior technicians and management personnel in the fields of engineering technology, safety, quality, and etc. Thirdly, there is a keen focus on people’s livelihood and responsibility. POWERCHINA takes green development and ecological environmental protection as an important part of development by permeating the “Green and Scientific Development” philosophy throughout the construction. Port Qasim Power Project adopts super core units independently designed and manufactured in China. 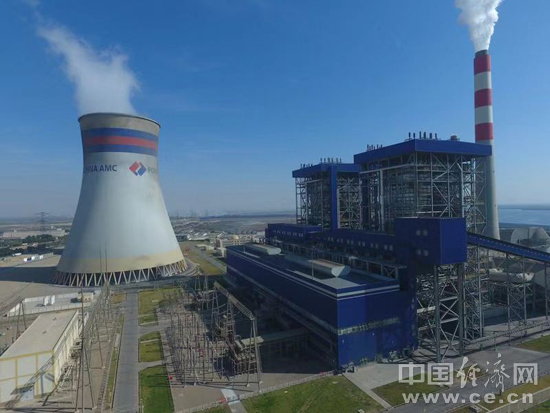 Compared with traditional fuel oil generating units, the super core coal-fired generating units have higher power generation efficiency and are more environmentally friendly. The plant adopts seawater secondary circulating and cooling, seawater desalination system, as well as limestone-gypsum wet Flue Gas Desulfurization, and is in compliance with local and World Bank’s environmental standards. It can maintain the local blue sky and clean water through the concept of “strictly clean power generation”. Fourthly, by upholding the principle of "openness, cooperation, mutual benefit, and win-win outcome", POWERCHINA has been promoting “localization strategy” and “differentiated management” to increase the employment of Pakistani work forces. POWERCHINA creates over 4,000 employment opportunities for the local people in the peak period of construction. Furthermore, more than 600 long-term stable employment opportunities have been provided after entry of commercial operation. Also, the project indirectly increases local jobs by over ten(10) thousand in relevant fields such as materials supply, equipment transportation, legal advice, financial audit etc..